Today was a busy day at work…actually, it has been busy for the last week or so. I’m glad it is busy as it keeps me occupied and makes time go by fast. This afternoon, I headed to the post office after work to pick up a package. I don’t know if it was the weather, but I felt like having some soup. It wasn’t a really cold day, but some soup would make my day. Spring is in full swing, and we’ve been experiencing normal spring weather here in the Greater Toronto Area. It’s a far cry from a few weeks ago where we experienced above seasonal temperatures, but I digress. 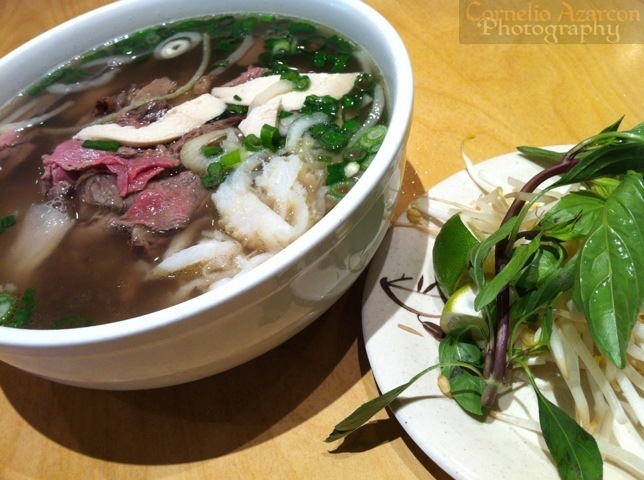 So, I felt like having some soup, so I went to Pho Mi 89 and ordered a Big Bowl ($8.50) which was an extra large bowl of pho noodle soup with an assortment of meat. I normally would critique the dish here, but I’m not going to do that this time. All I could say is it was a nice meal for a somewhat cool day, and it satisfied my craving. Just take a look at the picture above…’nuff said.